Sgt. Timothy P. Padgett was born on January 13, 1979 in Geneva, Ala. He was a Special Forces medical sergeant assigned to 1st Battalion, 7th Special Forces Group (Airborne) at Fort Bragg, N.C.
Padgett was killed May 8 when a combat patrol he was supporting was attached by enemy fighters near Helmand Province, Afghanistan. He died of wounds sustained during the firefight. He deployed in support of Operation Enduring Freedom in March 2007. Born in Geneva, Ala., and raised in Defuniak Springs, Fla., Padgett enlisted in the Army March 14, 2003, as a Special Forces candidate. After completing basic and advanced individual training and airborne training at Fort Benning, Ga., he was assigned to Fort Bragg, N.C., for further training. 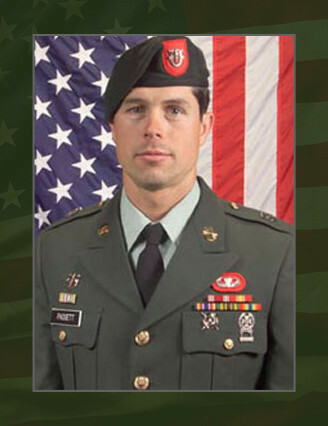 Upon completion of the Special Forces Qualification Course in 2006, he was assigned to 7th SFG (A). His awards and decorations include the Good Conduct Medal, National Defense Service Medal, Global War on Terrorism Expeditionary Medal, Global War on Terrorism Service Medal, NCO Professional Development Ribbon, Army Service Ribbon, Parachutist Badge, Special Operations Dive Badge and the Special Forces Tab. He was posthumously awarded the Bronze Star Medal for valor, Purple Heart, Meritorious Service Medal, NATO Medal, Afghanistan Campaign Medal, and Combat Infantryman Badge. Padgett is survived by his daughter, Summer Lynn of Westville, Fla., mother, Glenda Penton of Defuniak Springs, Fla., and father, Tommy Padgett of Waller, Texas. He is also survived by his sister, Serena Padgett and brother, Rex Padgett both of Defuniak Springs as well.